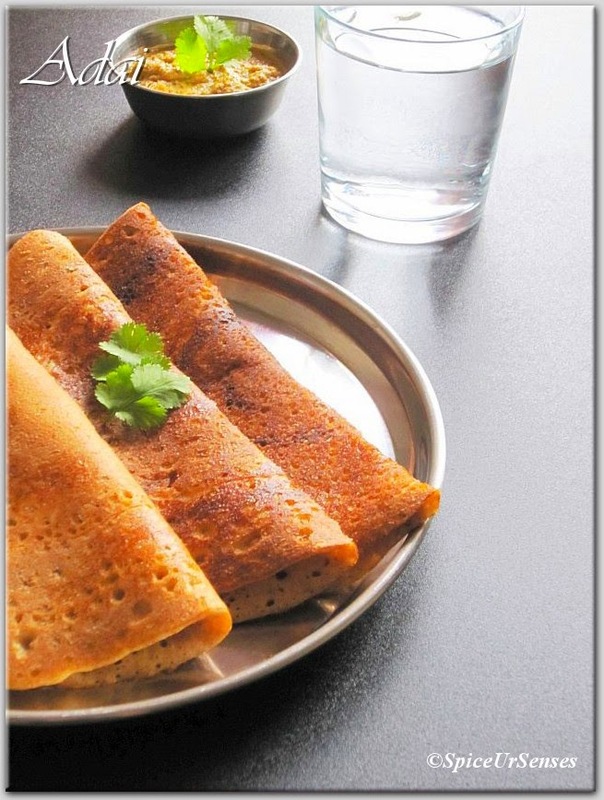 Adai is a very famous South Indian dish which is made out of mix lentils and rice. You can add your choice of green leaves or veggies to make it more healthier and It is usually prepared for breakfast, but I even prefer to eat any time of the day. 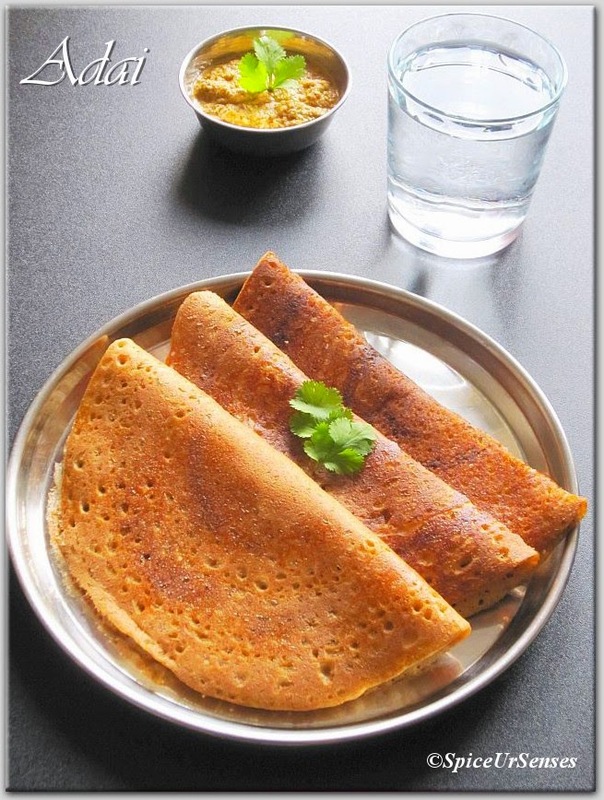 It is very simple to prepare and does not need much planning as for dosa and the good thing about this adai is, it does not need fermentation and you can prepare in no time. All you have to do just soak the rice and mix lentils for about 2 to 3hours. Then grind it to paste and make adai. 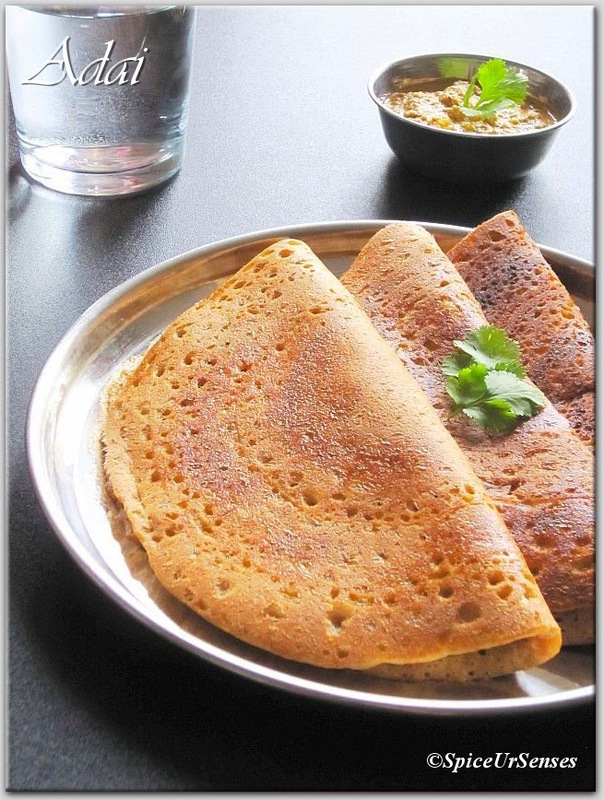 Adai is usually little thicker then the dosa. It goes well with avial, coconut chutney or as it is. Soak rice and dal together for 2- 3 hours. Grind it to smooth paste along with red chilli, curry leaves, ginger, hing and salt. The batter should not be thick nor watery. Heat a griddle or a non stick tawa and pour a ladle full of batter and spread it in circular motion. Drizzle a tsp of oil around the adai. Let it get cooked. Once cooked remove from tawa. 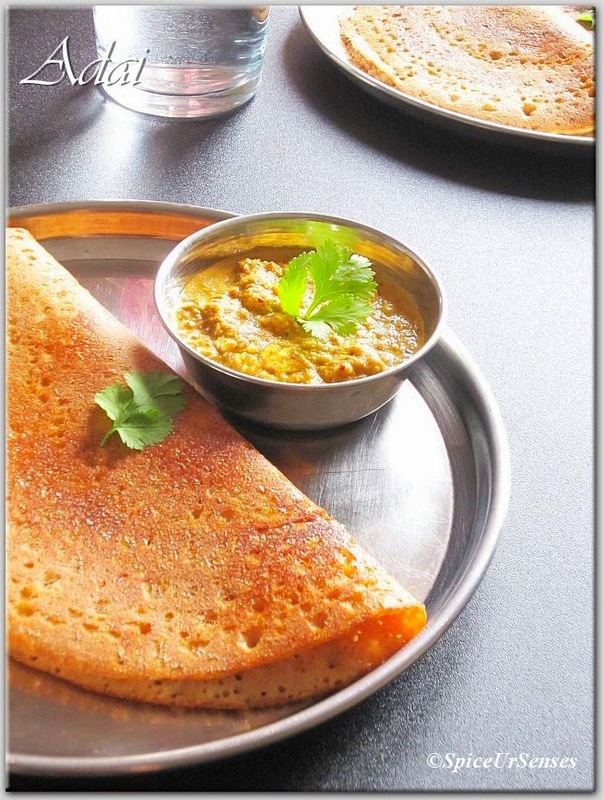 Serve it hot with coconut chutney, avial or as it is. 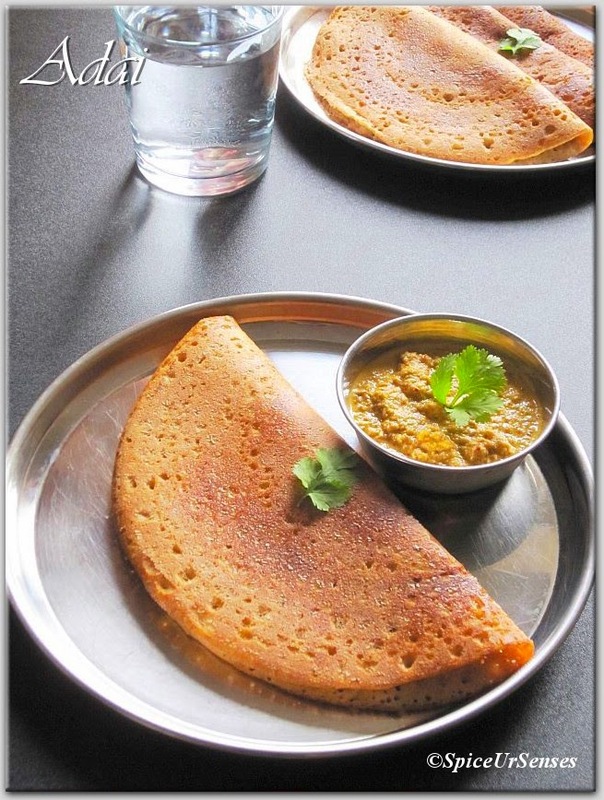 Adai is one of my favorites and this looks very nice and delicious.